If you plan to try on the clothing before purchasing it, shopping en femme is better than shopping en homme because en femme, you get a better idea how the clothing will fit and look. En homme, the clothing may not fit at all depending on what shapewear you wear en femme. And even if the clothing fits en homme, you still will see a "man in a dress" in the mirror and may reject purchasing the item because you don't like the way it looks. More than once, I tried something on en homme that was borderline, purchased it anyway and was very glad that I didn't reject it because it looked great on me en femme. When I try something on in the store en femme, I always ask a salesperson where the dressing room is located, even if I know where it is. I always ask in order to protect myself in case someone complains about a male in the women's dressing room. If that ever happens, I can respond that the store gave me permission. FYI, I have never run into this problem. Another FYI, I shop in Connecticut; your mileage may vary depending on where you shop. Wearing Finderskeepers jumper and Alice + Olivia sweater. Charlie Chaplin (center) in the 1914 film A Busy Day The Masquerader. 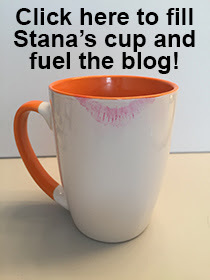 Excellent advice, as usual Stana. One thing, the Chaplin film pictured here is "The Masquerader". 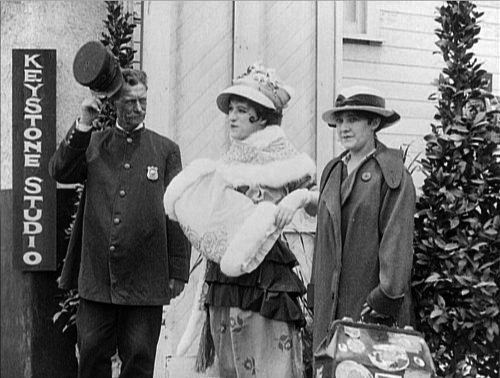 "A Busy Day" was a film where Charlie played a woman throughout the story, while this one and "A Woman" had the Tramp dressing as a woman to get away with something. And he was pretty good at it too. Thank you for the correction, Julie.